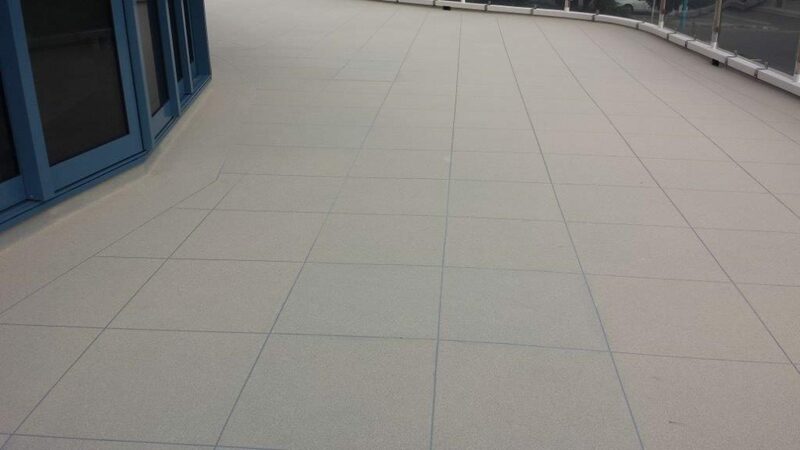 To strip the existing ceramic tiles and failed butynol membrane from the balconies. Build plinths and raise the joinery to the required height. Re-profile the deck to falls, crack repairs, waterproof and apply decorative coloured ceramic stone finish. The existing balcony membrane had failed allowing water to penetrate through the concrete decks into the ceilings of the café’s underneath. 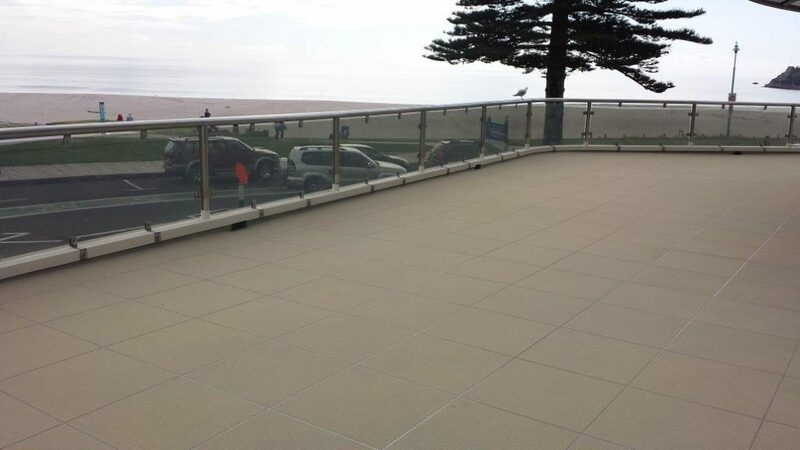 Polymer Group Ltd provided a robust waterproofing solution to the problem which waterproofed the structure for the café’s and gave a decorative tile pattern to the decks above. 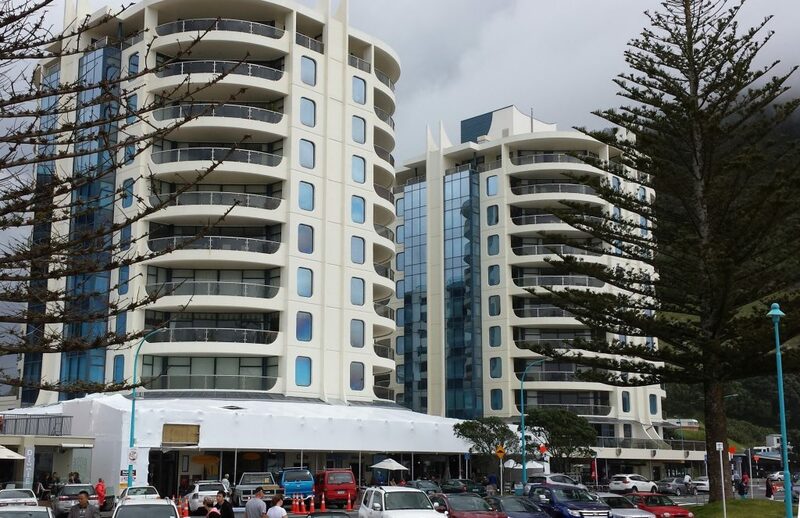 This project was undertaken and completed by Bay Protective Coatings.